There have passed 20 years since the flag with the hammer and sickle, the red flag of the October revolution and of socialism was taken off the Kremlin. There have passed 20 years since the counter revolution and the overthrow of socialism in USSR and the other socialist countries of Europe. This fact meant a social backward movement, not only for the peoples of the socialist countries, but also for peoples of entire world. The peoples of socialist countries saw the drop of their level of living, they faced new phenomena such as unemployment, insecurity and immigration. The peoples of capitalist countries lost support for their struggle against the capitalist barbarity. In present Europe multitude of serious attacks targeting the working class and majority of youth and people are under way. They are aimed at a number of conquests of long and difficult social struggles, related to work, peace, social system, education, health service, culture etc. This process proceeds in the interests of imperialism of the European Union and other imperialist centers like Russia and its roots are fixed in the capitalist system. The capitalist right-wing political forces and social democracy that endeavour to promote capitalist restructuring expressed by constant attempts to push through the policies of privatization, deregulation and attacks on social rights of the working people need to eliminate their principal opponent and to eliminate the communists that disclose the strategy of imperialism and who only have the alternative - socialism. The Communist Youth Union (KSM) observes the intensification of the anti-communist acts that are presently in an increased way directed also against the Communist Party of Bohemia and Moravia (CPBM). That came to light during the parliamentary hearing about the draft of a law on the so called third (= anti-communist) resistance and was expressed with the subsequent political and media manhunt against the CPBM members of parliament Marta Semelova and Miroslav Grebenicek. There are even threats of banning the CPBM in connection with the speeches delivered by these MPs. 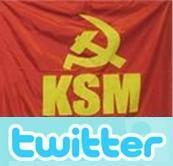 The KSM rejects and condemns anti-communist acts of the members of parliament and of the government institutions. 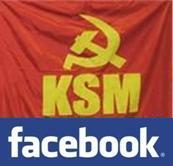 The KSM also faced its banning but did not step back from its ideological positions and together with enormous international solidarity campaign in its struggle against the anti-communist ban reached a victory. The very incorporation of the Czech Republic into NATO organization was connected with a bloody criminal act committed by NATO. The timing of Czech Republic's entering NATO on 12th March 1999 did not by coincidence preceded just 12 days the imperialist aggression of NATO against the Federal Republic of Yugoslavia which started a 78 days barbaric bombing of Yugoslavia, occupation of Kosovo and Metohija and subsequent declaration of "independence" of US/EU protectorate Kosovo. The Czech Republic's ruling class took its deal of responsibility for this criminal act and subsequent NATO policy against resistance and discontent of a large part of the Czech and Moravian society expressed in mass protest demonstrations organized predominantly by the Communists. 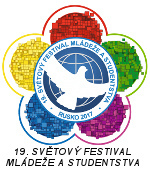 During the epoch of socialism in Czechoslovakia, the university study was free and focused on raising education level of the working class. In addition, all the citizens possessed a right to work, which was granted by the constitution. Proportion of students was closely related to a planned development of socialist economy; hence graduates were employed in the field they had studied.